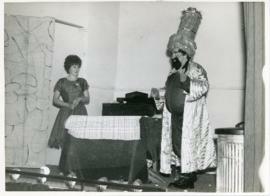 'Jack and The Beanstalk' was a pantomime put on by the Bampton WI Drama group and produced by Hilda Pickard in January 1965. 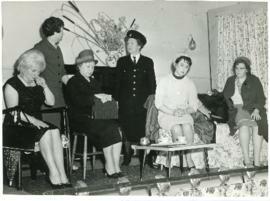 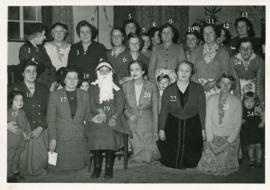 In 1971 The Bampton branch of the Women's Institute celebrated its Golden Jubilee. 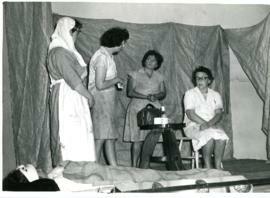 This newspaper cutting reports on some of the activities. 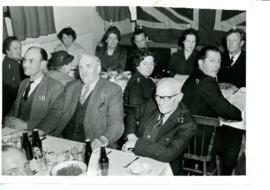 Each week the Witney Gazette has a column by John Chipperfield called 'Memory Lane' where he recalls events from times past and this British Legion Children's party was one of them.